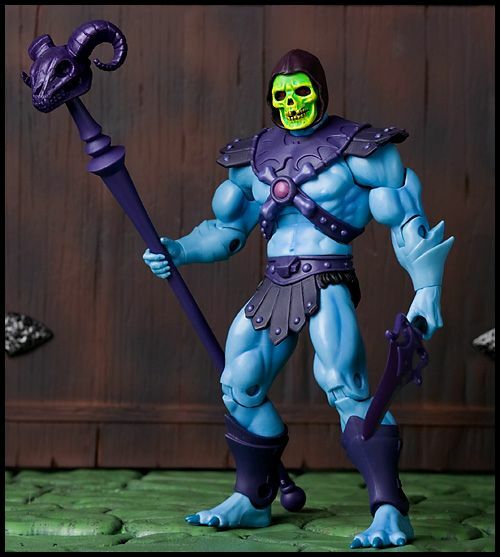 Although lacking any skin, Skeletor's bony exterior has left him open to oral decay and poor dental hygiene. 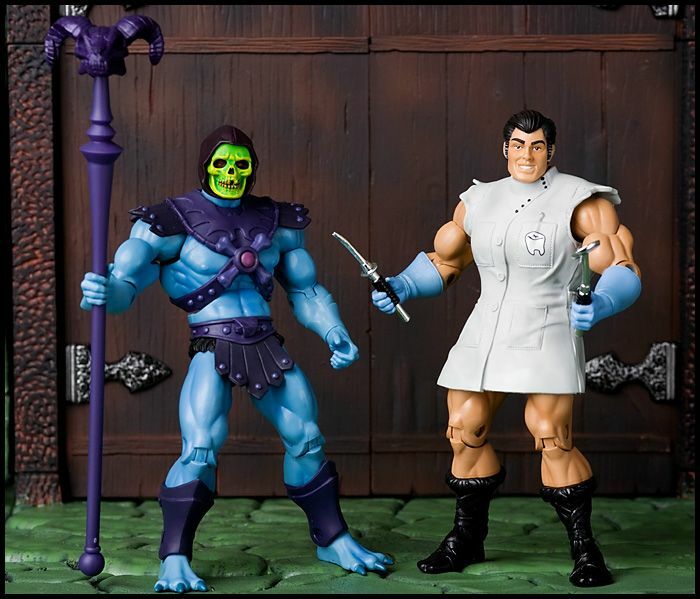 When his wails of pain become too much, his servants Grizzlor and Beast Man have been known to call upon the only expert in Eternia who can help- Mo-Larr, Eternian Dentist! 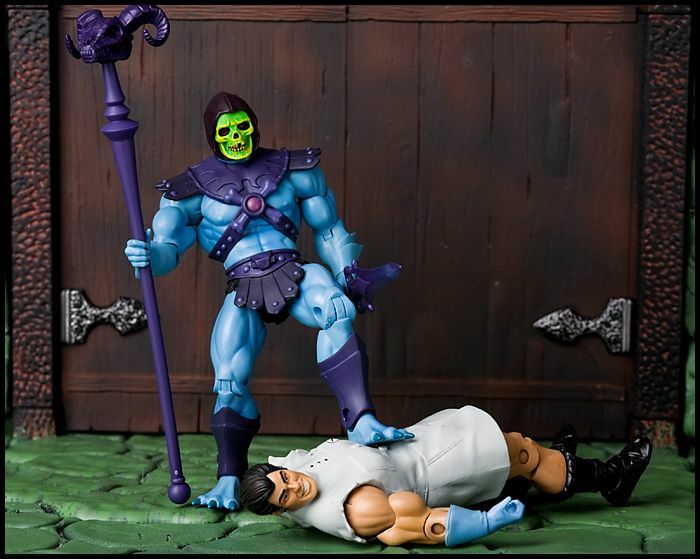 Quick to forget, Skeletor often loses track of his appointments, distracted by his massage chair and Eternian periodical collection. 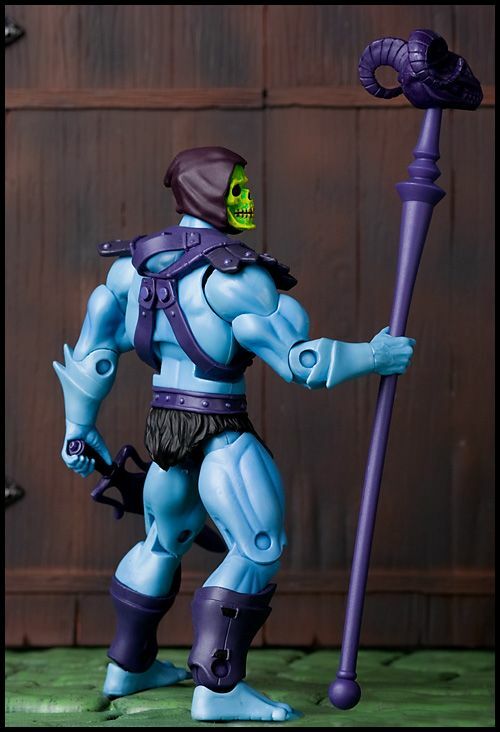 Notes: This version of Skeletor was a San Diego Comic-Con exclusive (later available for a short time om Mattycollector.com) that came packaged with a Mo-Larr figure. 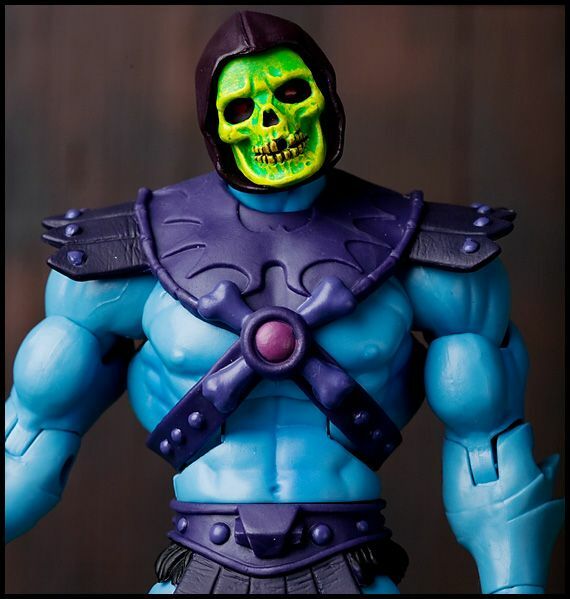 While the body and accessories are the same as the reissue Skeletor, this version features a new head with a missing tooth. The paint on the face is VERY green, and the purple of the hood does not match the armor. 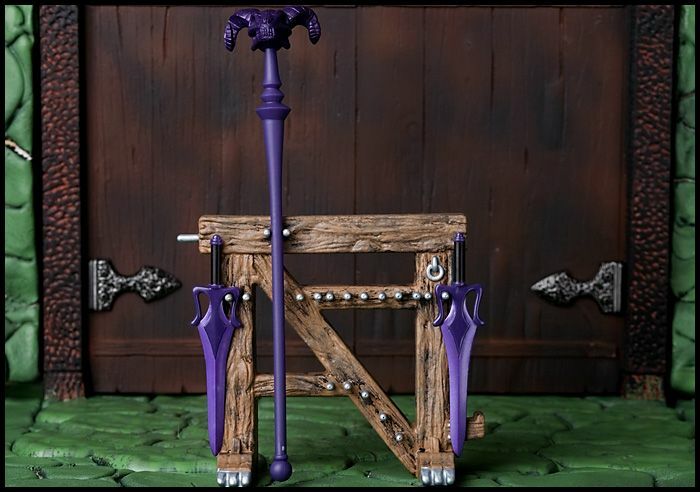 Instead, this shade of purple seems to be a perfect match for the DCUC VS MOTUC version, or the Keldor figure.